B2B marketing has always been complicated, and has only become more complex over the last few years thanks to evermore empowered buyers, new technologies, a difficult economy and growing international organizations that make navigating potential buyers and influencers in target companies harder by the day. 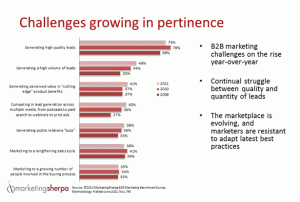 At 1:06 – Challenges are still growing for B2B marketers. Lead quality, lead volume and conveying value are getting harder for B2B marketers every year. 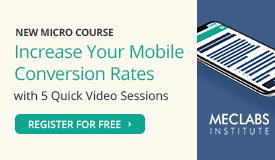 At 2:19 – The continual struggle between quality and quantity of leads. The marketplace is evolving, and marketers are resistant to adapt to the latest best practices. 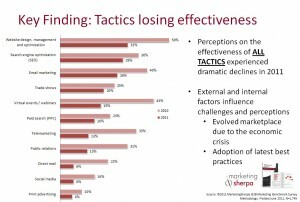 At 5:12 – Perceptions on the effectiveness of all tactics experienced dramatic declines in 2011. 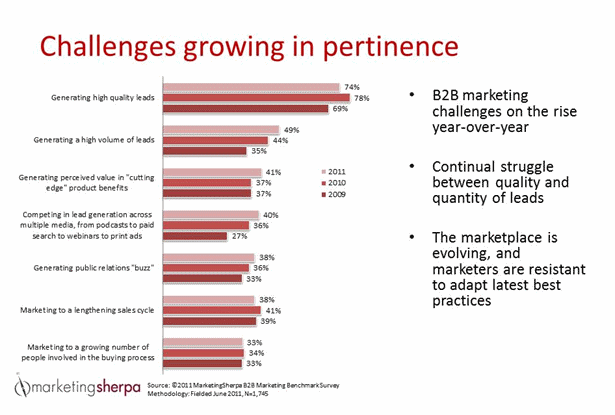 At 7:14 – And now for one last reason why B2B marketers are feeling more challenged. 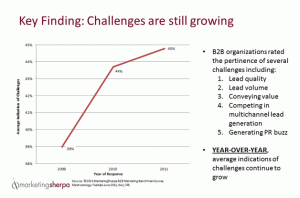 Sure, there are some pretty strong macro conditions – more empowered buyers, more challenging org structures, even more complexity within their own organizations – that might be accounting for the increasing difficulty of B2B marketing. But could marketers be helping themselves out more in the face of these headwinds? 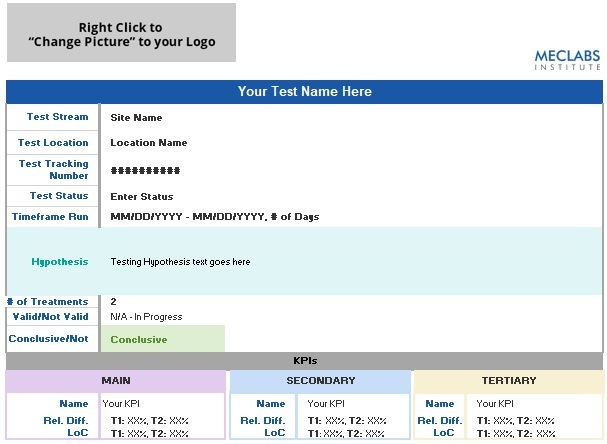 Some shocking data – only 68% of B2B marketers have identified their Marketing-Sales funnel (and you can’t optimize your funnel until you’ve defined it) and 79% of marketers have not established lead scoring. 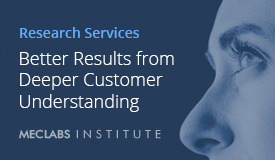 If you would like to share your marketing wisdom on a future episode of Marketing Research in Action and live in (or will be in) the Jacksonville area, please let me know.